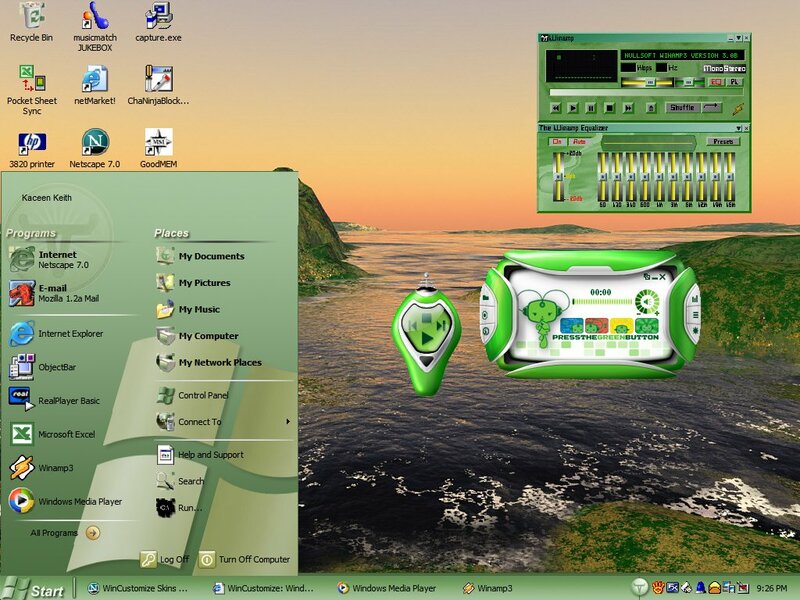 this is ver 2 of the existing skin for those who are looking for winamp, winmedia and logonXP..
so what did you actually make yourself?? I must say , very WELL done , THE best i have seen here to date. How do you "actually" install and use it? Did the download and appliied the skin with WB4 and all I goy was the ugly Windows classic and does not show anywhere whe I look through Winstyles. BTW, what's the deal with everyone using the arrow in the shortcuts? People bitched and complaint when MS added it to Windows, PowerToys got rid of it and Winstyles is adding it again. Has anyone got this theme to work? I have applied it anr removed it 5 times with the same result. Windows classic and ugly. Will not skin. All I got was the icons and wallpaper. One request, can you make the highlight color easier to see. I have a lot of trouble in Outlook telling which message is selected. The white is very close to the shade for the background.